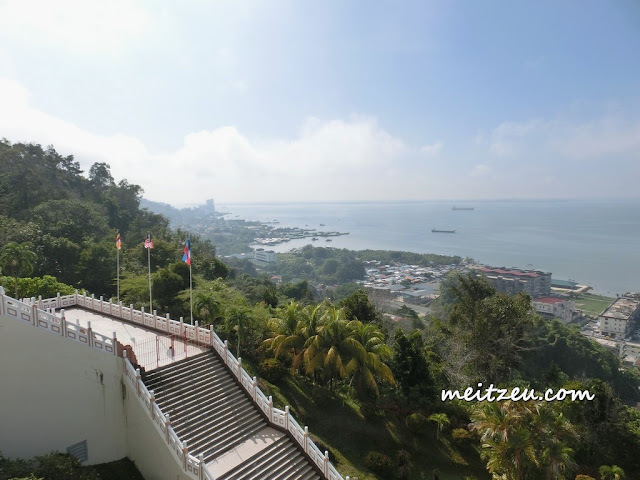 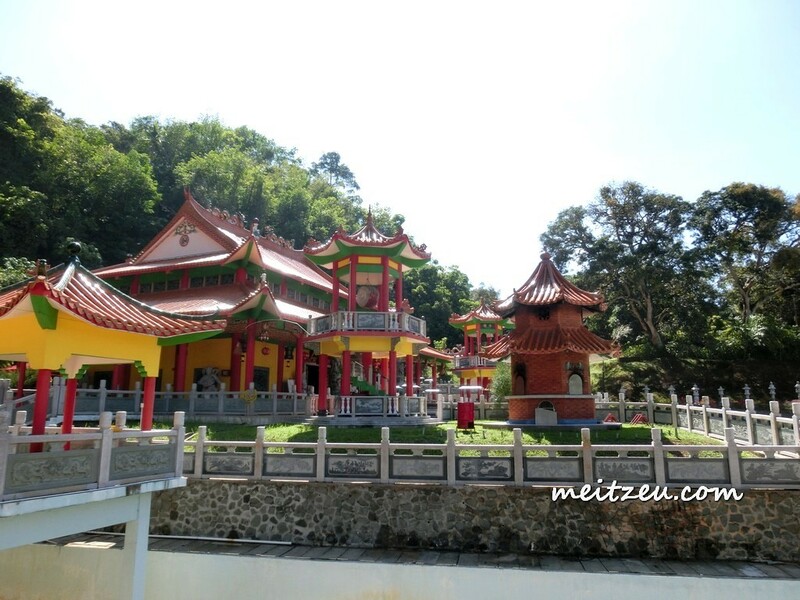 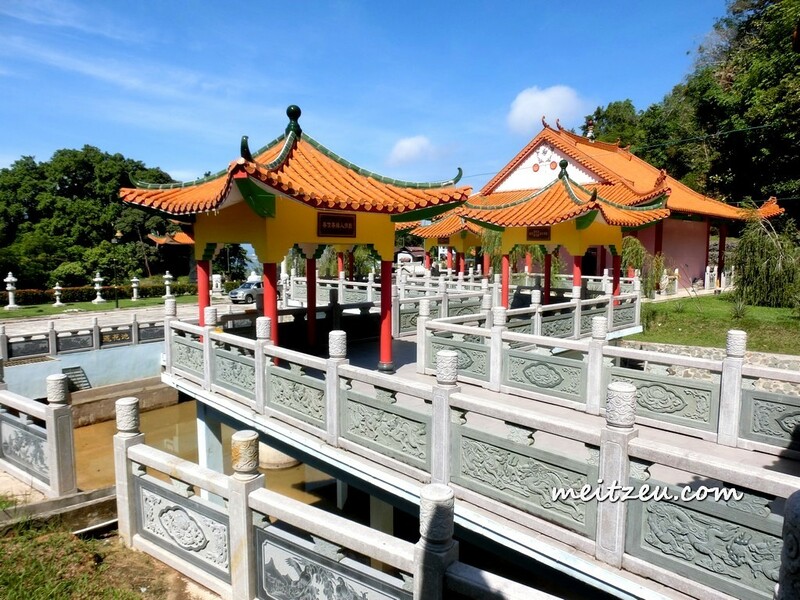 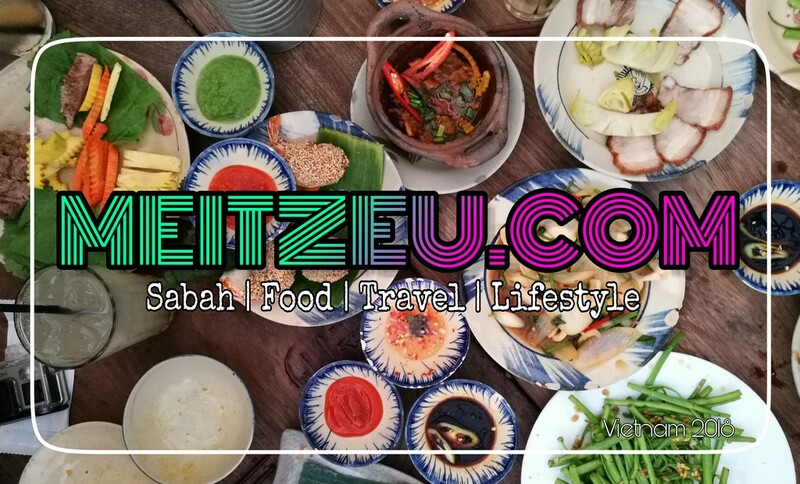 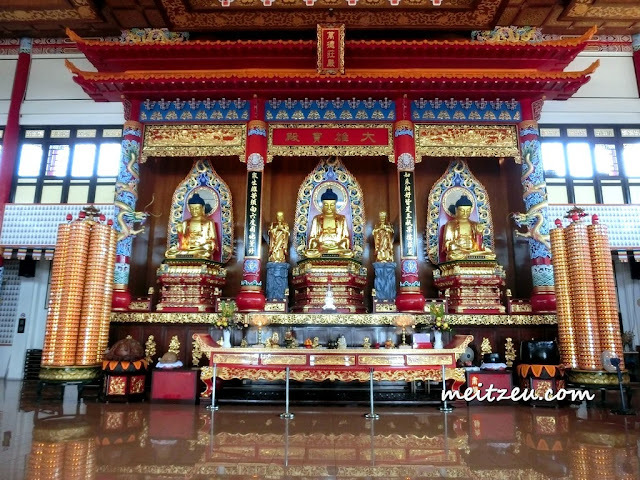 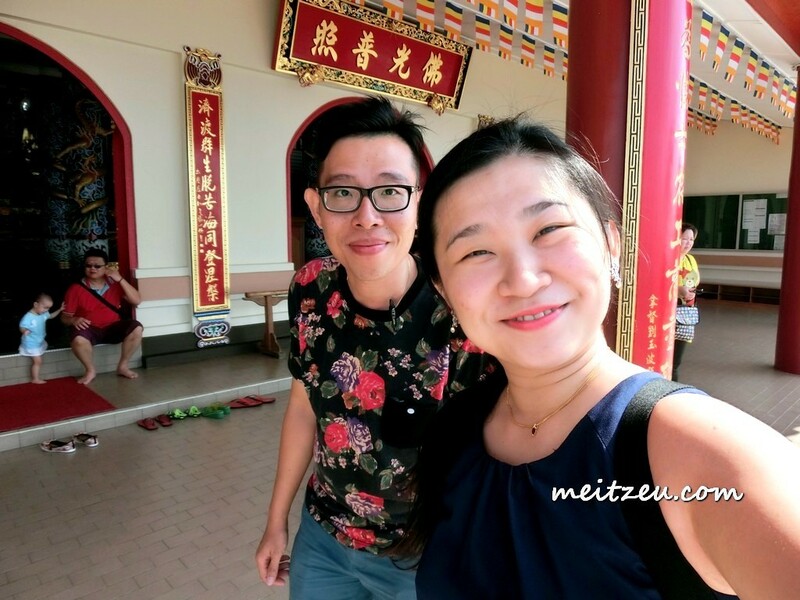 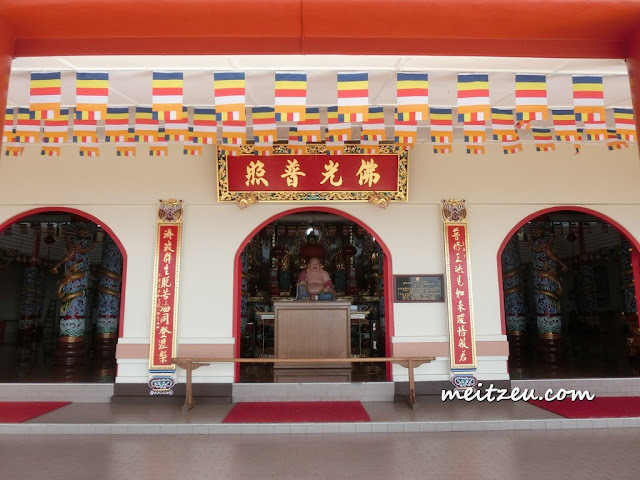 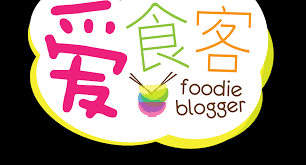 Immediate from our scrumptious breakfast, the first must visit that we went was Puu Jih Shih, a well known temple at the highest spot of Sandakan and placed at the mountain with the breathtaking panoramic view of Sandakan Bay and Town. 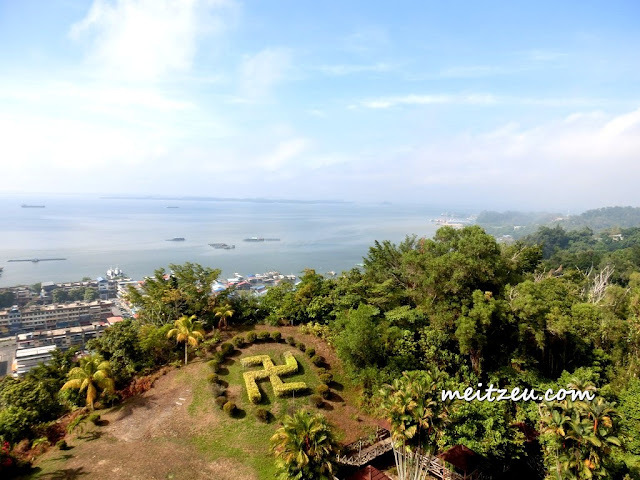 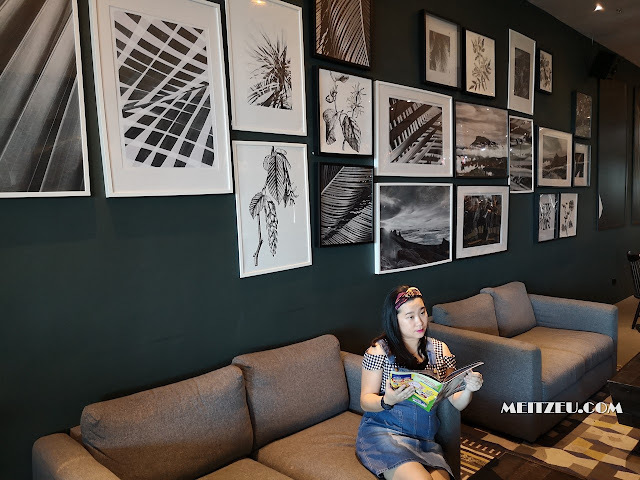 Puu Jih Shih is approximately 2.5 Miles away (located at 5KM 五厘) away from town and you might think of renting a car in Sandakan, as it takes time to travel one place to another. 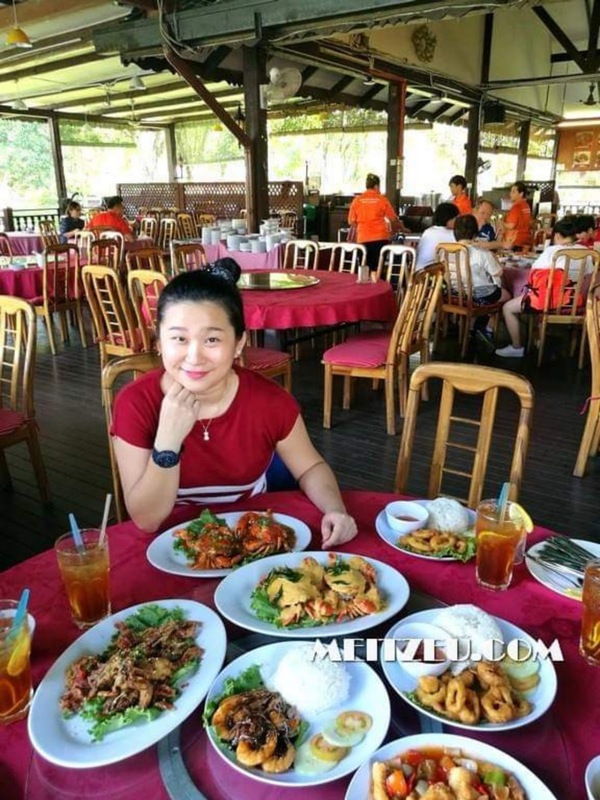 We were lucky that we have relative who is kind to borrow us their vehicles to made us convenient to travel around and more food to explore! 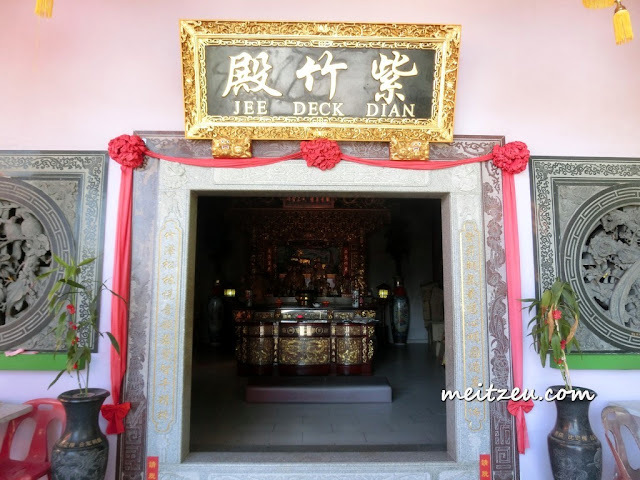 We were definitely just in time to see the newly furnished Puu Jih Shih, building were uplifted as explained by Uncle. Gorgeous and clean. 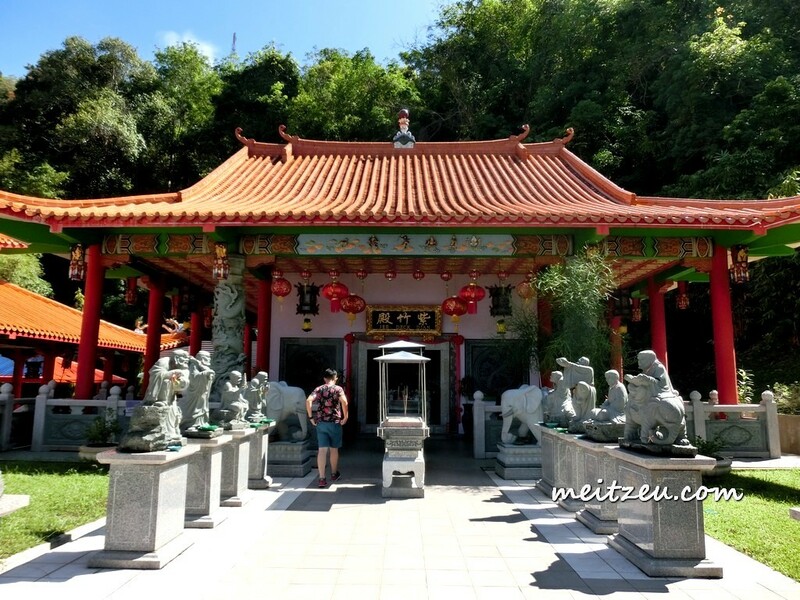 The detailed sculpture and goddess. 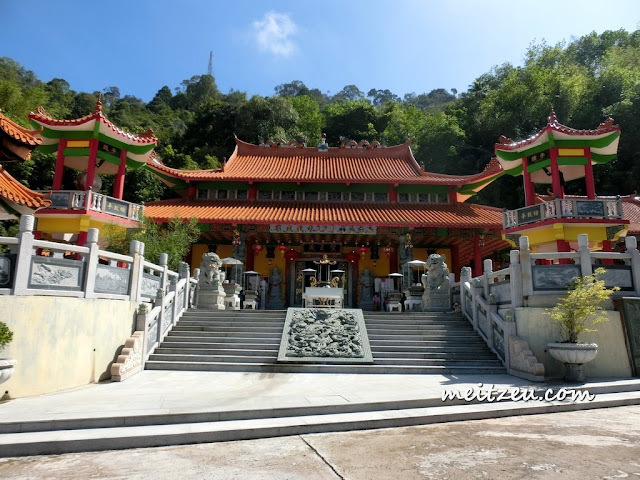 shall be the Hokkien Temple - Feng Shan Shi 凤山寺 that I never heard before, Uncle drove us there and temple just beautiful and mystery as always. We could smell the burnt joss stick that we believe the locals prayed for themselves and all. 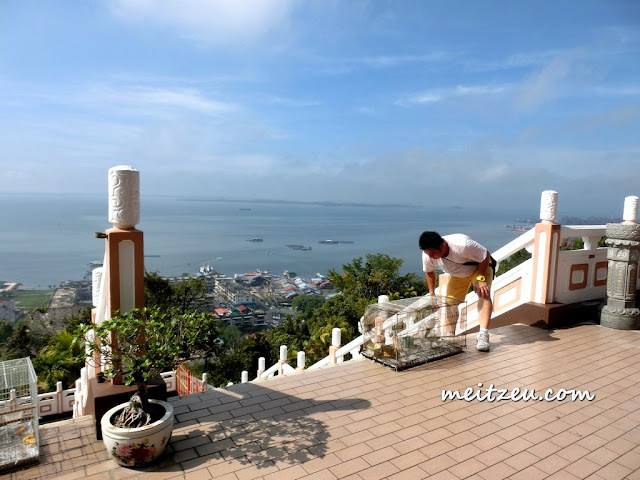 At Feng Shan Shi, we still can see the view of Sandakan bay, but slightly lesser. 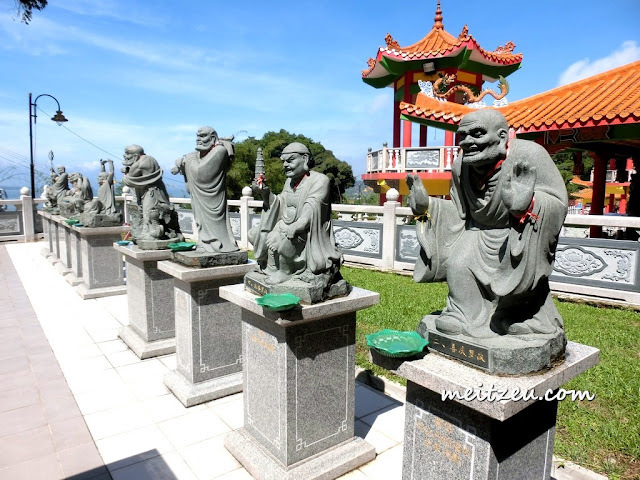 Anyway, the goddess sculptures are more than Puu Jih Shih if I'm not mistaken. These are the two temples that we have visited during our trip to Sandakan. 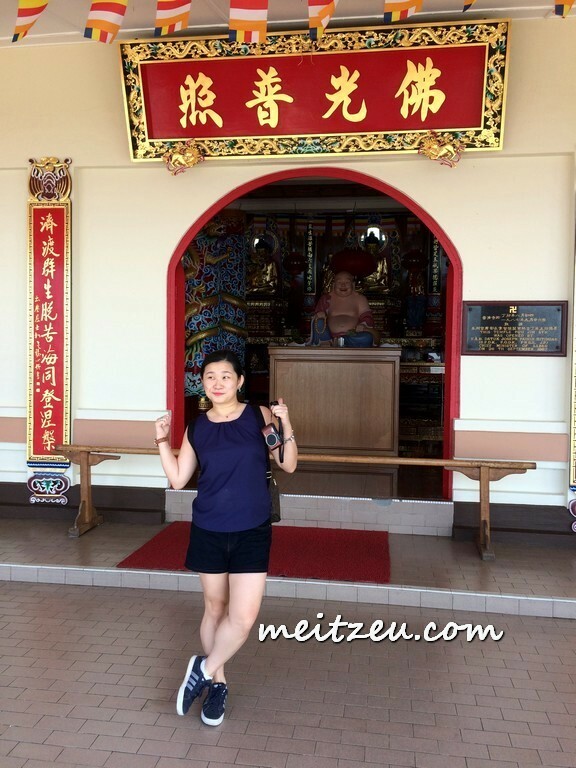 Quite big leh the temple.